Florida is the cultural, historical, and economic center for the U.S. cigar industry. That makes the Sunshine State’s legal climate for cigar smokers worth watching. Unfortunately, smokers’ rights are once again under attack in Florida. 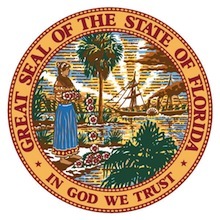 Kathleen C. Passidomo, a state representative from Naples, has introduced House Bill 211, which would amend the Florida Clean Indoor Air Act. A companion bill has also been introduced in the State Senate by Alan Hays. Part of the Florida Clean Indoor Air Act is a preemption by the state in the area of smoking regulation. What this means is that unlike California, where municipalities can pass anti-smoking regulations that are stricter than the state statute, local governments in Florida cannot pass their own local anti-smoking regulations. The proposed bills would change the language in the preemption section from “this part expressly preempts regulation of smoking to the state and supersedes any municipal or county ordinance on the subject” to “this part expressly preempts regulation of indoor smoking to the state and supersedes any municipal or county ordinance on the subject.” Adding “indoor” makes a huge difference because it would allow local municipalities the unfettered right to create legislation that bans smoking in outdoor areas such as sidewalks, beaches, and public parks. Florida smokers should take note and work toward stopping passage of this bill, or they may find the number of places they are allowed to smoke significantly reduced. Unlike many places, Florida has struck somewhat of a balance between the “rights” of non-smokers to be free of secondhand smoke and the rights of smokers to be able to go out and enjoy a cigar in public. If either of these bills are allowed to pass, that balance will suddenly end. Florida smokers should to visit the Cigar Rights petition page and take the steps listed to help prevent the bill’s passage and protect their right to smoke in outdoor places around the state. This is absolutely illogical…They won’t stop until cigars become contraband. I agree, we have to start standing up for our rights or soon we’ll have none! Thanks for keeping us informed!!! Looks like Rocky Patel has some more work to do…this time on a legislator from his own backyard there in Naples. 1- Both Hays and Passidomo are Republican, demonstrating that anti-tobacco zealotry is not a partisan position. The anti-smokers commit flagrant scientific fraud by ignoring more than 50 studies which show that human papillomaviruses cause at least 1/4 of non-small cell lung cancers. Smokers and passive smokers are more likely to have been exposed to this virus for socioeconomic reasons. And the anti-smokers' studies are all based on lifestyle questionnaires, so they're cynically DESIGNED to blame tobacco for all those extra lung cancers that are really caused by HPV. And they commit the same type of fraud with every disease they blame on tobacco. And, all their so-called "independent" reports were ring-led by the same guy, Jonathan M. Samet, including the Surgeon General Reports, the EPA report, the IARC report, and the ASHRAE report, and he's now the chairman of the FDA Committee on Tobacco. He and his politically privileged clique exclude all the REAL scientists from their echo chamber. That's how they make their reports "unanimous!"